Big Pharma has been hit hard in recent years with patent cliffs, an increased cost to get a drug to market (now estimated at well over $1 billion), and regulatory problems. This is exacerbated by the fact that many of the low hanging fruit in drug candidates have been picked, and currently nine out of ten drug candidates fail. And though there has been a recent push to move into emerging markets (such as Brazil, Russia, India and China) to rescue dwindling profits, increased support for generics in these countries is forcing a strategic rethink. The benefit of all this is that hard times call for innovative thinking. The Fully Integrated Pharmaceutical Company model, in which one company does all stages of drug discovery, is no longer working. 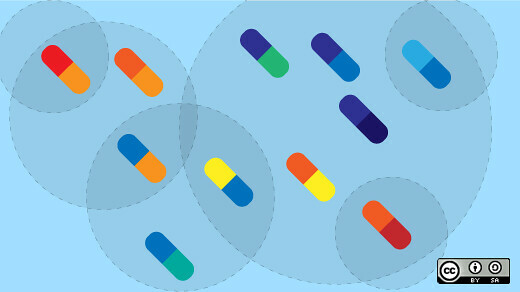 Pharma companies need to be smarter, to streamline and cut costs where possible. They are increasingly rewarding innovation, and minimizing bureaucracy and inefficiency. This is resulting in a major structural overhaul of not just Pharma companies, but of the industry as a whole as leaner Pharma cannot survive without academics and biotech companies to feed the drug discovery pipeline. Many Big Pharma companies, including Pfizer and AstraZeneca, have downsized their workforce, largely by massive cuts to Research and Development (R&D) teams. To be able to do this, they are narrowing their portfolios to focus on key therapeutic areas; and moving to a project based approach. Companies including Pfizer and Novartis have also moved or expanded R&D centers in innovation hubs such as Cambridge, Boston. There also has been a strategic push away from the traditional strategies of Mergers & Acquisitions and licensing, towards partnering and outsourcing to acquire new drug candidates. Pharma is now creating drug discovery pipelines with biotechs, contract research organizations (CROs) and academics. This is being done through collaborative development agreements with biotech and CROs, which include joint goals, and rewards for reaching milestones. A smart approach considering it shares risk with the smaller companies, and means both parties are invested in the outcome. In the last couple of years, there has also been a concerted effort to partner with academia: Pfizer has launched Centers for Therapeutic Innovation; Merck has funded the not-for-profit basic research institute, California Institute for Biomedical Research (Calibr); Novartis has partnered with MIT; Sanofi with Harvard; AstraZeneca with University College London; and Genentech with the University of California San Francisco. Pharma is recognizing that it needs biotech to sustain discovery. To help small biotechs stay afloat in the challenging economic climate, Johnson and Johnson and Bayer have started bio-incubators. These offer biotechs the space and infrastructure they need, but cannot afford to set up themselves. Janssen labs in San Diego has a ‘no strings attached’ model in which biotechs have no legal ties to Janssen – the main aim is to foster a good relationship. Johnson and Johnson plan to expand this model with new innovation centres in California, Boston, London and China. Bayer has also jumped on board this trend with the San Francisco based CoLaborator. Venture Capital is another strategy Pharma is using to support small biotech financially. GlaxoSmithKline led with their VC arm SR One in 1985; Pfizer launched Pfizer Venture Investments in 2004; and Merck joined them this year with Merck Research Ventures Fund. This year 10 Pharma heavyweights (Abbott, AstraZeneca, Boehringer-Ingelheim, Bristol-Myers Squibb, Eli Lilly and Company, Genentech, GlaxoSmithKline, Johnson & Johnson, Pfizer, and Sanofi) joined forces to form non-profit Transcelerate Biopharma, which aims to increase the efficiency and lower the cost of clinical trials. The main goals of this consortium are to: create one website to be used by all clinical trials; and create industry standards in clinical data collection, assessment of patient risk, training for doctors and comparisons of current therapies to experimental drugs. Pharma companies recognize that these approaches are all experimental. Let’s hope the success rate is higher than that of current drug discovery.